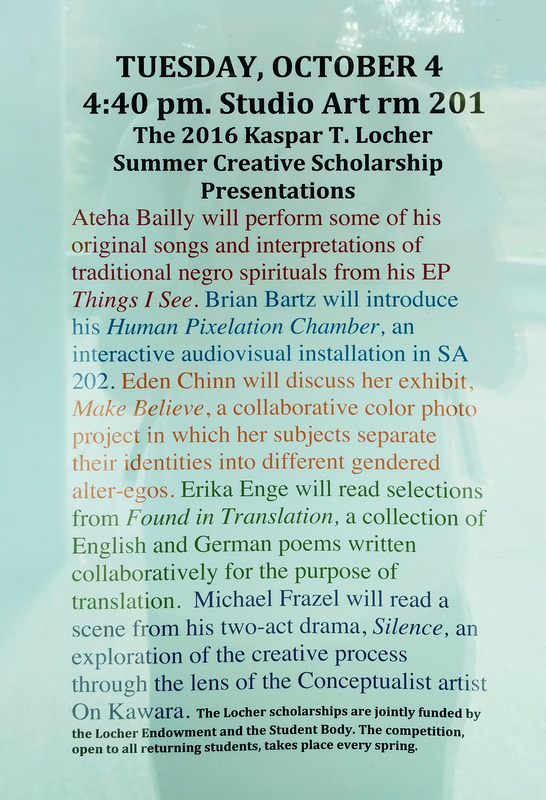 An audiovisual, body interactive, digital installation made for the Kaspar T. Locher creative summer scholarship award, summer 2016. Written in Max/MSP, this installation was made using a kinect, a camera, two projectors, and a microphone/speaker system to create an audiovisual feedback environment. Digital interfaces have been codified in such a way that interactions are ubiquitous, infrastructural, and thus unconscious. This installation places individuals into an environment of highly abstract user interaction in an effort to dismantle the logics of corporate interface. The following video documents a handful of user interactions with the space.